The owner of Carolyn M. Young Fiduciary Services, Carolyn Young has been working as a fiduciary for more than three decades. Currently in charge of $75 million in assets, Ms. Young provides a variety of fiduciary services to clients, such as serving as a power of attorney agent. A power of attorney agent is the person (or people) you choose to make decisions for you in the event you become incapable of making them yourself. Depending on the power of attorney agreement you set up, this agent can have a broad range of responsibilities, or more specific ones relating to such things as your finances or medical care. While you can limit how much power an agent has, you are still giving control over a major aspect of your life. For this reason, it’s extremely important to trust the agent you choose. Spend plenty of time considering your relationship. This determines how well they will be able to work with your family members, along with how likely they are to follow your choices despite what the rest of your family may want. Beyond finding someone trustworthy, you also need an agent who can perform their assigned duties properly. Ideally, look for someone who is good at solving problems and pays close attention to detail. You also want an agent who understands finance, business, or healthcare. If your agent needs help, they must also be capable of speaking to an accountant, attorney, or other party to ensure that your wishes are followed as closely as possible. For more than 30 years, Carolyn M. Young has been working in the fiduciary services industry in California. Ms. Young leverages her experience in the field to lead Carolyn M. Young Fiduciary Services as owner. The company that offers such services as living wills. 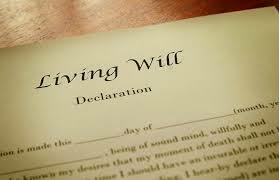 When adults create a living will, they are putting their wishes for end-of-life care in writing. This ensures physicians provide the care a person wants, even when the patient is unable to communicate, as when in a coma or vegetative state. In many cases, living wills also address issues such as personal grooming instructions and funeral plans. It’s advised that everyone create a living will once their reach the age of 18. While thinking about one’s end-of-life can be difficult, having a living will keeps loved ones from going through the anguish of making decisions with no guidance. Further, in many states, not having such a will limits that amount of control family members have over a person’s end-of-life care. Individuals already experiencing health issues have a more immediate need for creating a living will. These issues include the possibility of hospitalization or surgery, or the diagnosis of a terminal condition. For these individuals, the risk of becoming incapacitated is much higher, thus making creation of a living will more important. Based in Sacramento, California, Carolyn M. Young Fiduciary Services provides aid as a guardian, executor, conservator, and power of attorney for health care and finances. Among the areas in which Carolyn M. Young Fiduciary Services offers experienced support is in setting up special needs trusts. Special needs trusts cover supplemental needs for which Security Supplemental Income (SSI) and Medicaid are insufficient. Such trusts are typically set up by families to support a member with a disability that makes them eligible for government benefits. With the state and federal government only providing health care support up to minimum “essential needs” levels, the advantage is that funds can be contributed while maintaining SSI and Medicaid eligibility. One major decision is the amount of money put into the special needs trust, which depends on the specific disability involved and level of care necessary, and can be funded by inheritances, family assets, life insurance policies, and court awards. The special needs trust does have significant setup and management expenses, and for this reason, some recommend a baseline of $100,000 when setting up such an account. The owner of her own fiduciary services firm in Sacramento, California, Carolyn M. Young provides clients with services and consultation on issues ranging from power of attorney and trustees to the distinction between living wills and power of attorney. Carolyn M. Young also assists clients in establishing special needs trusts for children and family members with disabilities. A special needs trust is designed to provide financial support for individuals with physical or mental disabilities who cannot manage their own finances. This includes children with disabilities and adults who require assistance making important life decisions due to mental disabilities or deficiencies. The trustee makes financial decisions in the beneficiary’s steed and uses funds within the trust to pay for various medical and living necessities. Additionally, a special needs trust allows a person to create an inheritance fund for a loved one or family member with disabilities without jeopardizing their qualification for government assistance. 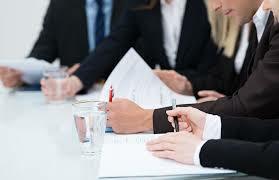 Funds procured from a settlement on the individual’s behalf can also go into the trust. Acquiring assets can disqualify a person from government assistance programs, but a special needs trust avoids this issue since a third party holds complete control of the funds. Trustees use funds within the trust for an assortment of purposes and these uses do not need to directly relate to medical items or the individual’s disability. A special needs trust defines “special needs” as anything the beneficiary does not receive through government assistance programs. Therefore, the uses of a special needs trust can range from home and vehicle maintenance to educational expenses and monthly bills. Meeting the needs of Northern California clients in Sacramento and beyond, Carolyn M. Young Fiduciary Services provides a host of coordinated solutions spanning administrator, guardian, executor, and trustee of trusts. Focused on client education, Carolyn M. Young Fiduciary Services helps people understand the differences between living wills and health care power of attorney. Also known as a health care proxy, durable power of attorney for health care involves appointing another person or entity to make one’s medical decisions in the case of incapacitation, or the inability to make decisions for oneself. The proxy has a vital role in acting on behalf of the person and carrying out intended wishes in tandem with medical treatment providers. For this reason, it makes sense to discuss the full range of issues and scenarios that may potentially be involved in advance, including artificial nutrition, resuscitation, hydration, and mechanical ventilation. The living will is also a type of advance directive, and covers many of the same medical treatment pathways that would or would not be pursued on one’s behalf should communication no longer be possible. A major difference is that, with language such as “incurable or irreversible condition with no reasonable expectation of recovery” in play, the scope of medical situations to which the living will applies is typically much narrower. Naming a trusted proxy is for many a better pathway to ensure that health care is carried out in line with one’s wishes at times when clearly articulating those wishes has become difficult or impossible. Based in Sacramento, Carolyn M. Young owns and operates Carolyn M. Young Fiduciary Services, which offers a full range of client-centered services. In addition to acting as administrator, conservator, guardian, and executor, Ms. Young provides powers of attorney for health care and finances. Financial and medical powers of attorney are two distinct services that involve a person designated as agent managing one’s affairs in ways that protect interests and ensure that one’s wishes are followed. Also known as general power of attorney, financial power of attorney is limited to handling financial matters such as paying bills when the person is not able to handle them physically or mentally. Responsibilities may include oversight of properties and some personal care management functions related to the hiring of home care and assisted living helpers. Medical power of attorney requires a health care proxy that explicitly states that the agent named is designated to make medical decisions for the person when he or she is no longer of the capacity to do so. The health care proxy is designed to ensure that one’s wishes regarding care are fulfilled even when the capacity to make those wishes known is lacking. The appointed health care proxy’s responsibilities extend to making challenging decisions, including those that may end health care treatment, and thus should be carefully considered. 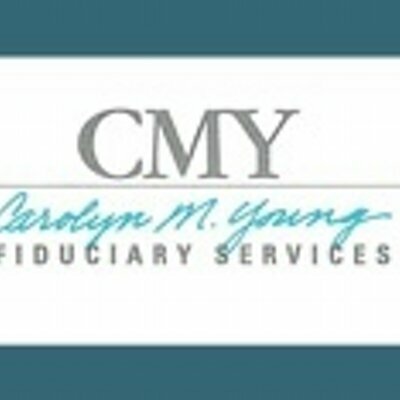 Carolyn Young established Carolyn M. Young Fiduciary Services in 1986. Through her business, Carolyn M. Young provides a wide range of fiduciary services, including selling or renting real estate property; storing or selling personal property; and working with investment managers to provide guidance to clients regarding investments. 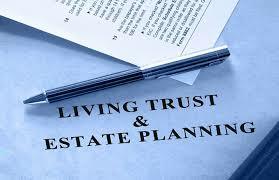 A fiduciary maintains several responsibilities, including fulfilling the terms that are outlined in a trust document. A fiduciary can also serve as a conservator in charge of managing an individual's estate, or he or she can act as a personal representative of a decedent, appointed by the court to carry out the terms of the deceased’s estate. To become a fiduciary, candidates must possess at least 3-5 years of professional experience; obtain a license as a certified public accountant or a legal degree; and complete a minimum of 15 hours of continuing education courses. He or she must also obtain a license from the Professional Fiduciaries Bureau, among other requirements. In the state of California, the Professional Fiduciaries Bureau and the Professional Fiduciary Association of California provide a great deal of information for individuals interested in becoming private professional fiduciaries.